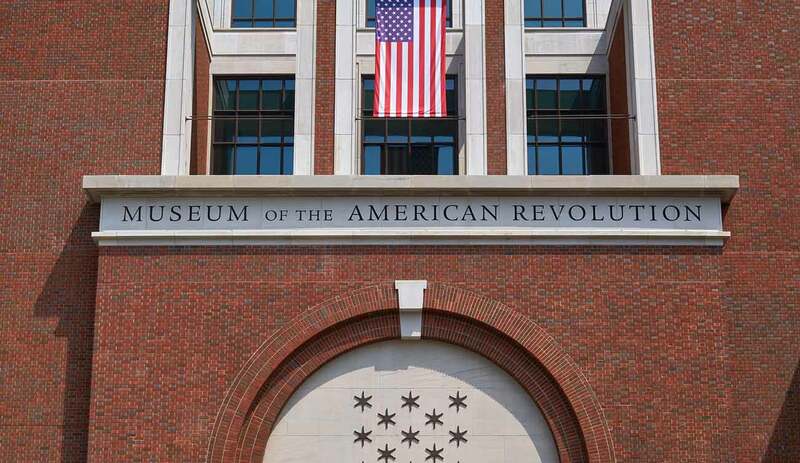 The historical moment of America’s determination and perpetual fight for independence is beautifully represented in the Museum of the American Revolution in Philadelphia, Pennsylvania. 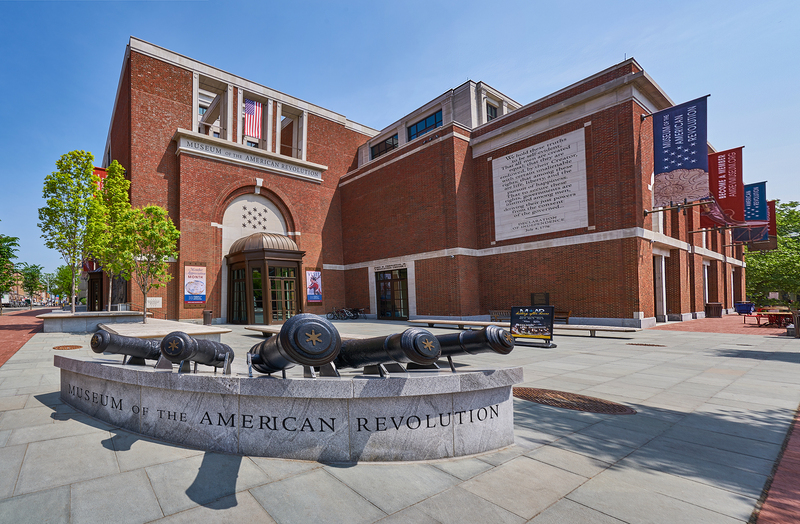 Opened on April 19, 2017, the museum tells the story of the American Revolution through the display of art, videos, documents, personal items such as George Washington’s war tent, and weapons used in battle. The building is set on the corner of Chestnut and Third Street, and situated amongst various other buildings of historical and architectural significance. Buildings such as the First Bank of the United States, the U.S. Customs Building, and William Strickland’s Merchant’s Exchange. 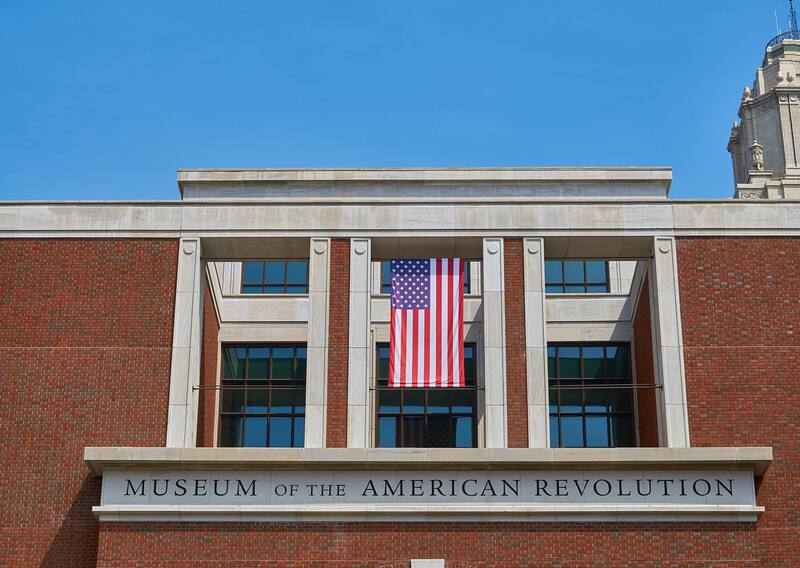 The architectural design of the building needed to capture the historic movement of the American Revolution and also coincide with local national historical buildings. Architects from Robert A.M. Stern Architects, LLP (RAMSA) were brought in to create a building that “evoked the restrained Classicism that heralded the birth of the Republic.” With over 45 years of experience, RAMSA has an established international reputation due to their attention to detail and commitment to design quality. 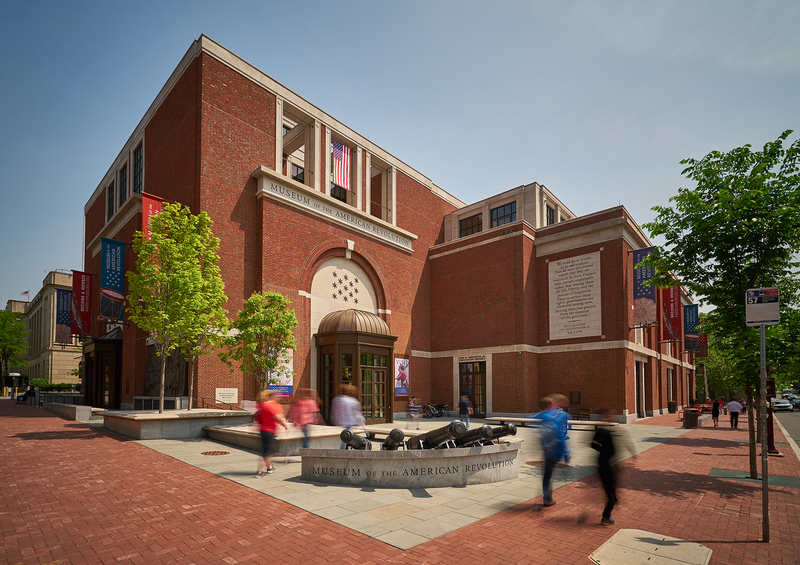 Located in New York, New York, RAMSA employed their top partner architects for the project, Robert A.M. Stern, Alexander P. Lamis, and Kevin M. Smith. 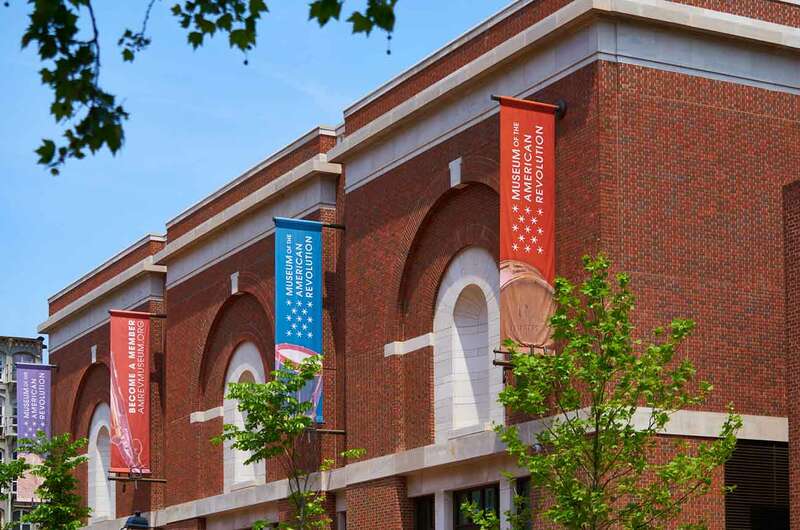 To replicate the design of local historical buildings and continue the look of the grout in the control and expansion joints, Pecora Corporation’s 890FTS-TXTR was selected for the project. The 890FTS-TXTR is a neutral-cure silicone sealant that will not stain natural stone and is perfectly suited for projects that require the sealant to have a grout-like appearance, adhere to a variety of substrates, and won’t leach free fluids. Before textured silicone sealants, if a project required a grout-like appearance, sand was broadcasted into wet silicone beads. Although the sand gave the sealant the desired finished appearance, it limited the sealant’s movement capability. The sand could “wash out” overtime making the sealant prone to failure and negatively impacting the buildings aesthetic. Pecora Corporation was approached by the Palazzo in Las Vegas, Nevada to design a pre-textured silicone that could withstand ± 50% movement. Pecora gladly accepted the challenge and formulated a product to meet these requirements, and added the benefits of Pecora’s non-staining technology. Thus, the 890FTS-TXTR was created. The 890FTS-TXTR is the third installment of the 890 product line which has inherited all of the advantages of the 890NST (Non-Staining Technology) and 890FTS (Field Tintable Silicone). Pecora’s Non-Staining Technology line of construction silicone products remains the industry’s first and only complete non-staining silicone product line. Traditional silicone sealants contain both high molecular weight silicone polymers and low molecular weight fluid molecules. Silicone polymers are very long molecules designed to react chemically with atmospheric moisture. As a result, these higher molecule weight polymer molecules bind together and are unable to escape the sealant. Lower molecular weight fluid molecules, traditionally present to control the modulus and other properties, are not reactive and remain unbound – giving them the opportunity to migrate out of the sealant and into the substrate over time or run down the face of the building. This fluid migration is potentially damaging since it can coat everything it comes in contact with, but Pecora’s NST silicone sealants do not contain these low molecular weight molecules. This effectively eliminates the possibility of staining and residue rundown while increasing adhesion, reducing dirt pick-up and maintaining the aesthetic integrity of the building. Pecora’s Field Tintable Silicone sealants offer unprecedented flexibility as high-quality, non-staining silicone's which can be quickly and easily tinted at a job site. You select the appearance (smooth or textured) and color (from 51 standard color packs), and the amount to mix only what you need for less inventory management, no leftovers, and no worries. The 890FTS-TXTR will react with atmospheric moisture to form a durable, flexible building sealant. This product performs exceptionally well under dynamic conditions accommodating long-term movement ± 50% in properly designed joints. Harsh weather conditions and extreme temperatures have very little effect on the performance, even after years of exposure. The 890FTS-TXTR is well suited for use in Exterior Insulation Finish Systems (EIFS) because of its proven strong adhesion to all base and top coats. The ultra-low modulus formulation places minimal stress on the bond line. This product has the ability to produce virtually any color in the field through the use of Pecora’s universal color matching system. Products used for this project include the 890FTS-TXTR for expansion and control joints and our non-sag acrylic latex caulking compound, AC-20 applied along the interior window and door frames. The construction manager of this project was Intech Construction. The distributor was TB Philly, Inc. located in Phoenixville, Pennsylvania who supplied Pecora Corporation products for application to the sub-contractor, Pioneer Contracting of Willow Grove, PA.